Theatre Review: WICKED, The Musical – MasterCard Theatres, Marina Bay Sands Singapore (performances until 20th November) – Hello Asia! 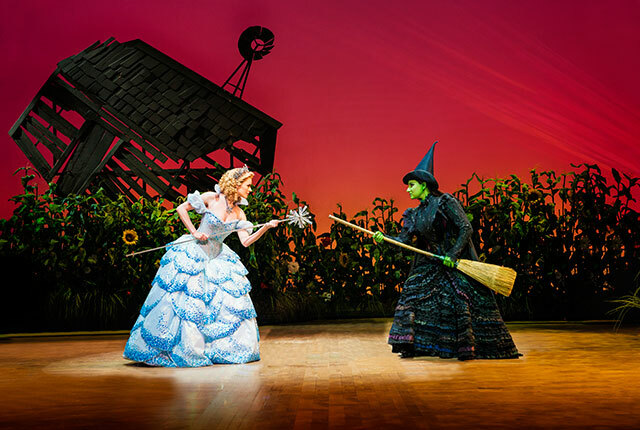 You bet that I’m as excited as you are that the gravity defying hit musical Wicked will be returning to Singapore! I didn’t manage to catch it four years ago when they made their first debut on Singapore shores, but this time, I got to see it in all its magical splendour. Everyone knows the story of Dorothy and the Wizard of Oz, but does anyone know of what really happened? Wicked tells of the hidden secrets of the Wizard of Oz before and after Dorothy caused waves of disruption amongst the Munchkins, and reveals another side to the girl that everyone only knows as “The Wicked Witch of the West”. 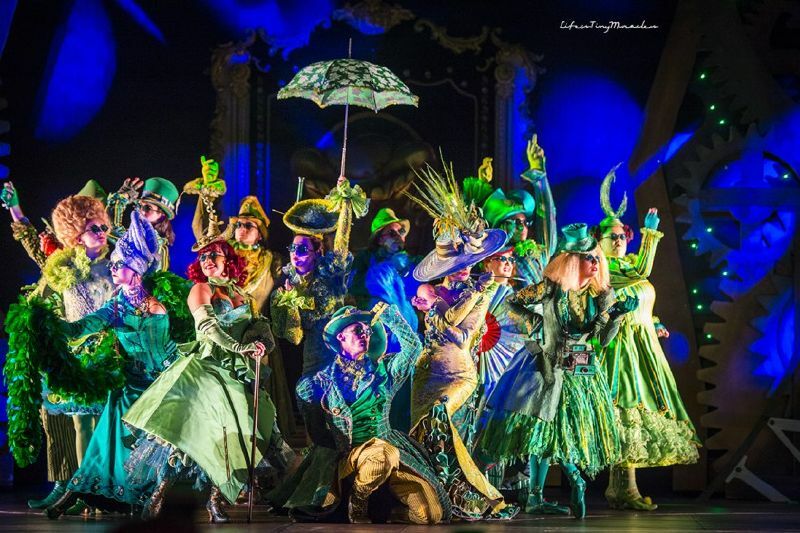 Accompanied with a live backing orchestra and breathtakingly grandeur sets, Wicked presents a quirky and heartwarming tale of growing up in the magical land otherwise known as Oz. 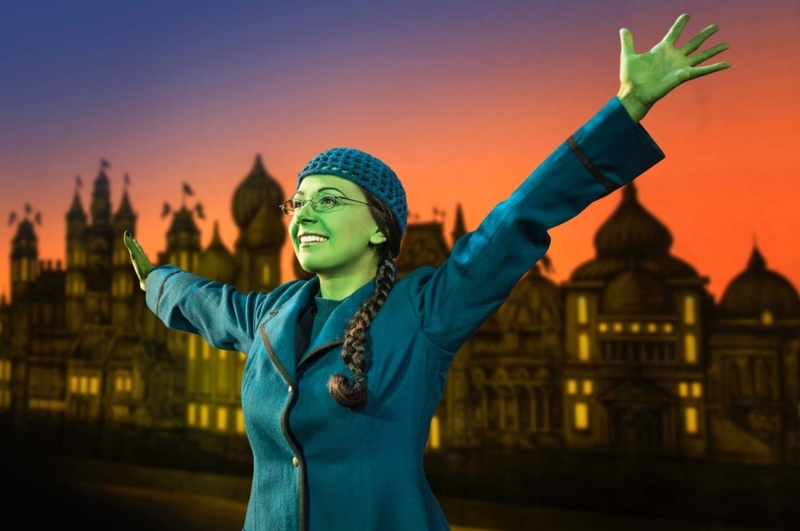 Wicked is the story of the outcast, Elphaba and her journey to be accepted into society despite being born green. You’ll see love bloom in the unlikeliest places, you’ll see how little gestures can bring such joy and laughter, and how each person has secrets.The success of this musical could allude to its universal theme which, as Glinda the Good Witch says, is a person evil, or do they have evil thrust upon them? A struggle to understand why some people commit evil acts are all inherent in us; after all we are all tempted by something that is bends our morals backwards. Watching how Elphaba managed to remain so positive despite all the hardships she faced in her childhood she faced only to have her crumble in the face of greater adversity takes the audience on an emotional rollercoaster ride. You realise that sometimes circumstances are a huge part of how a person turns out in life. If I didn’t know any better, I would even call this a coming-of-age musical. Elphaba and Glinda’s childhood were so vastly different, and yet they were thrown into the same circumstances with conflicting viewpoints. Throw in a corrupt government, and there you go – a timeless situation in history that repeats itself both in real life and in fantasy. As much as I would love to tell you what happened to Elphaba and how Glinda came to be known as Glinda the Good Witch, I’m not going to spoil the surprise! 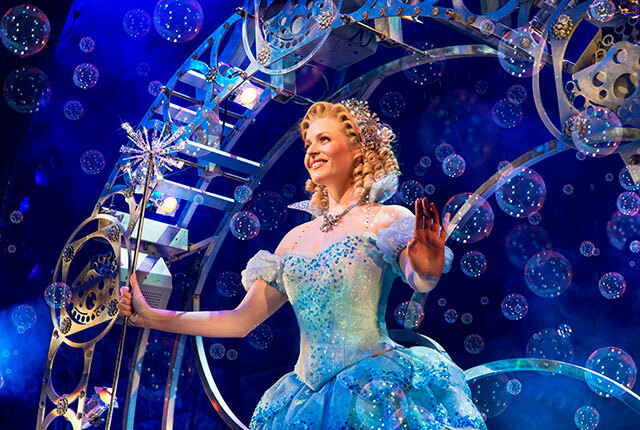 Wicked – The Musical will be running in the MasterCard Theatres at Marina Bay Sands from today until 20 November. Tickets can be found on SISTIC.